Most golfers look for balance in their swing. Hamilton's Alena Sharp found it in her life and is now reaping the benefits on the LPGA Tour. 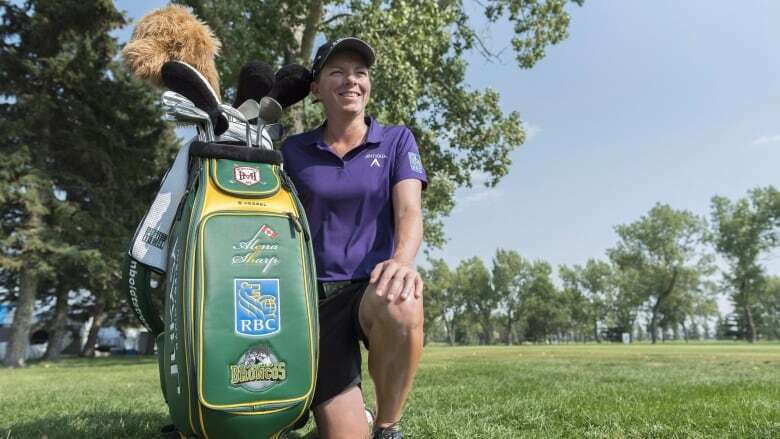 Sharp, who was named Golf Canada's player of the week on Feb. 18, credits a more measured approach to training and a better work-life balance to help her stay focused after a frustrating 2018 where she battled with depression. Most golfers look for balance in their swing. Hamilton's Alena Sharp found it in her life and is now reaping the benefits on the LPGA Tour. Sharp was named Golf Canada's player of the week on Feb. 18 after tying for sixth at the Women's Australian Open and tying for 17th at the Victoria Open to open the LPGA Tour's season. Sharp credits a more measured approach to training and a better work-life balance to help her stay focused after a frustrating 2018 where she battled with depression. "It's not all about golf," said Sharp. "I was practising too much and really wore out. Then not getting the results. This is a humbling game. It can be tough mentally and bring you down. When it's going well it's amazing but when it's not going well, it's tough. "So working with my therapist and having a good work-life balance along with a strong finish last season, it helped me feel like I was coming out of the downward spiral from last season." The big change for Sharp in the off-season was to never really stop playing golf. In previous years she would take a few weeks off, then ramp up an intense training regime featuring long days of up to six hours of practise and strength training. This year, Sharp has aimed for quantity of practice, rather than intensity. "I didn't put down the clubs, I did light practice," said Sharp, who conceived of her new training program with coach Brent Saunders last June. "Just a couple of hours of practice a day, nothing crazy. Get in, do you work, get out, and rest. Got in the gym and got stronger and I'm hitting it further. "Just mentally I'm really fresh. Just good practice habits have translated into the results I had in Australia." Now that the LPGA Tour season has begun, Sharp plans to continue putting an emphasis on working every day, rather than ramping up the intensity of her training to prepare for an event and risk burn out or injury. "I think I might have a little bit more quantity on certain days but I'm not really going to change much," said Sharp. "What I've been doing obviously is working and it's a long season and there's a lot of travel. "I know last year that I was pretty tired in August. I ran around too much, practising five or six hours every day. It really wore me out." Sharp has another week off with Brooke Henderson of Smiths Falls, Ont., the only Canadian competing at the HSBC Women's World Championship in Singapore starting on Thursday. Instead, Sharp is using the downtime to focus on her next two events, the Bank of Hope Founders Cup in Phoenix (March 21) and the Kia Classic in Carlsbad, Calif., (March 28). "I just feel like I have a really good recipe for success," said Sharp. "Really trying to stay away from results-focused thinking this year and being into the process."